Custom home builders rely on Associated Drywall Company for their most challenging drywall installation projects. Smaller drywall installation projects such as home additions are no problem for our large and experienced team. From simple basement finishing to luxurious man caves, we install and finish drywall in all of them. WITH OVER 10 YEARS OF EXPERIENCE TO GUIDE US, WE’VE GOT DRYWALL INSTALLATION AND FINISHING fully covered. 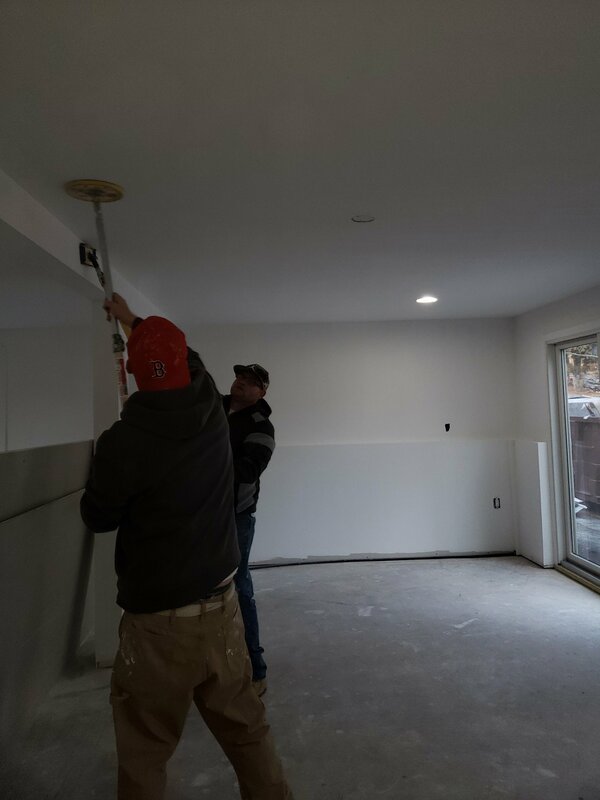 EACH STEP IN OUR Drywall installing and finishing PROCESS IS COMPLETED QUICKLY AND EFFICIENTLY BY ONE OF OUR drywall CREWS. Once the project is scheduled we’ll have our drywall/sheetrock supplier deliver all the materials we need on site. Within a few days after materials have arrived, a crew will come and hang the sheets of drywall. Once the hanging crew is done, our scrapping and cleaning crew will come in and tidy up after them. Any scrap drywall pieces will be removed. We’ll get the site broom clean and haul away the trash. Next, our tapers arrive. Over the course of several days our tapers will apply 3 coats of joint compound to the installed drywall. Once the tapers are done, all the seams are reinforced and sealed up, any corners will be finished, screw holes filled, and the surfaces are ready for the next step. The final step in the process is sanding. After the third application of joint compound is dry, our sanding crew will arrive and go through the entire project smoothing out any high spots and rough areas. Our crew uses tools and techniques to keep dust to a minimum during this process. Once the sanding crew leaves, your project is ready for trim and paint!